“Join the Georgetown Business Improvement District on Tuesday nights at sunset for Georgetown’s 2nd Annual Sunset Cinema outdoor movie series! 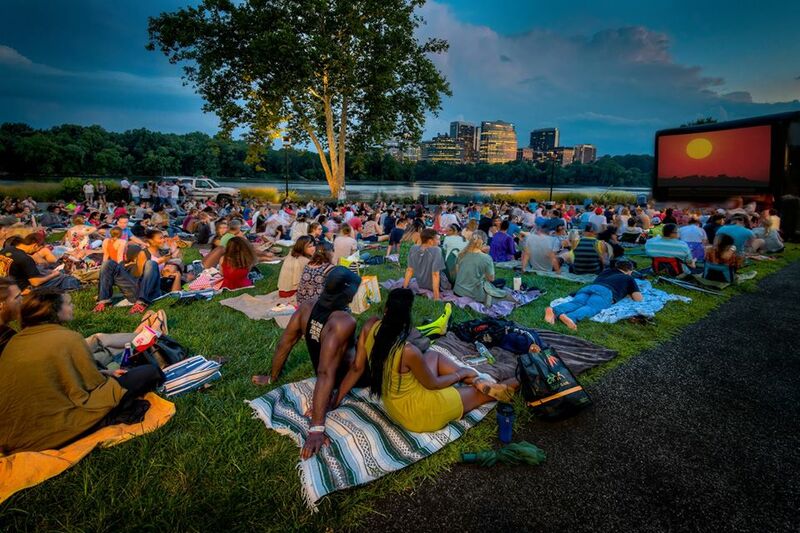 Grab a blanket, bring a picnic and head to the beautiful Georgetown Waterfront Park to view films with the panoramic backdrop of the sunset, Potomac River and Key Bridge. Running each Tuesday from July 5 through August 2. Films start at sunset–around 8:30/8:45 p.m. Arrive early to picnic and to get the best seating!